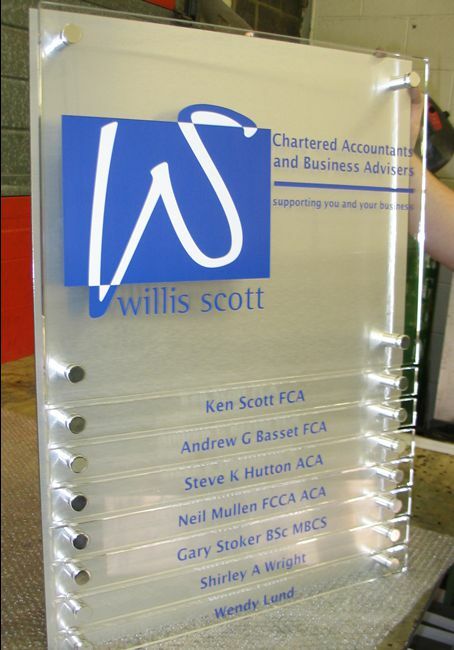 The Wilis Scott sign is a stunning example of a Business Name Plate. 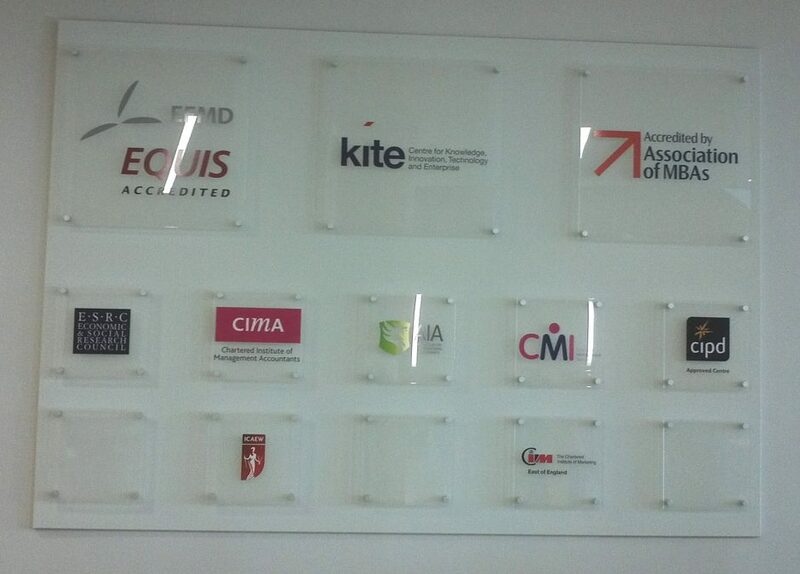 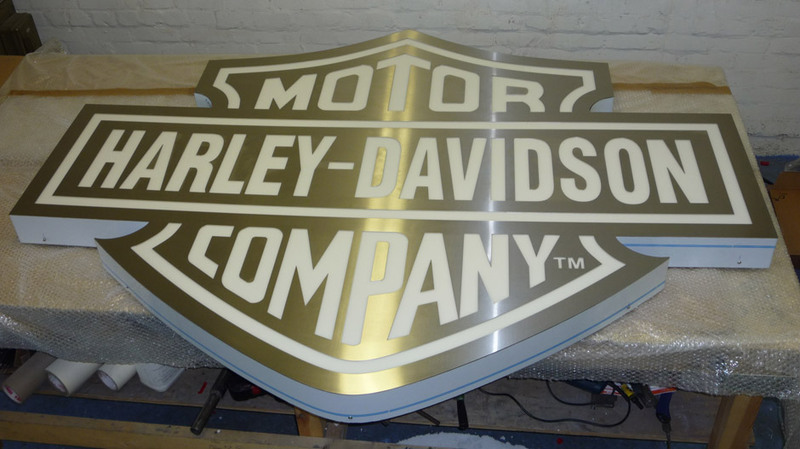 Clear Perspex panel screen printed and all edges flame polished. 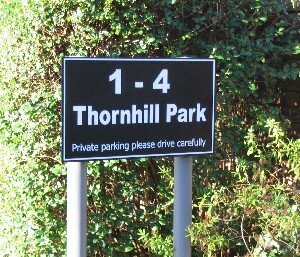 The Thornhill Park sign consists of a flat aluminium panel with signfix channel to the rear bolted to 2no grey PVC coated Mild steel posts. 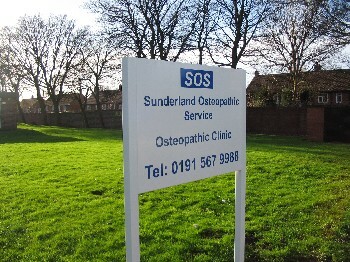 The “SOS” sign consists of a folded aluminium panel bolted between 2no aluminium square posts. 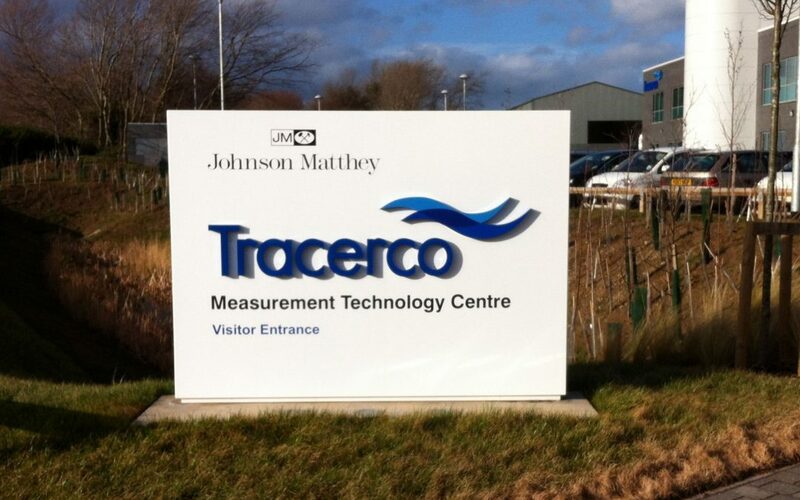 All powder coated white.